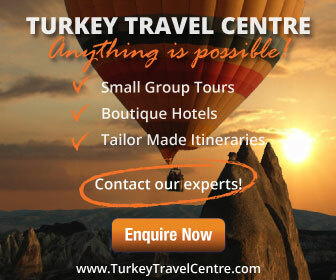 Turkey is a diverse country from the landscapes and people to the traditions and culture. 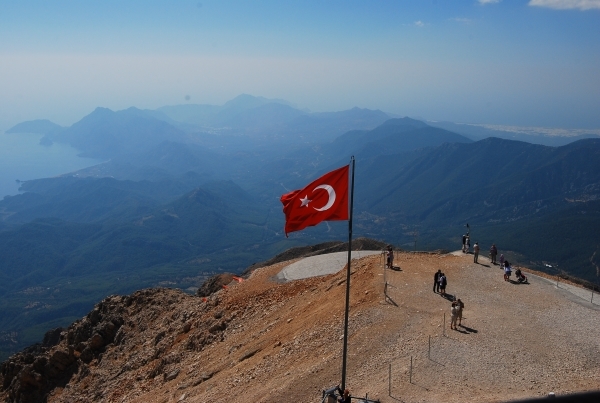 It is impossible to describe it in one sentence so we bring you an armchair tour of Turkey. Through our photos, you can see the green scenery of the Black Sea, the beauty of the coastal resorts , the magnificence of the cities and the perfection of unique landscapes making Turkey a wonderful destination for travel. The Kaçkar mountains in the North East of Turkey are one of the most beautiful places in the country. The area is popular with hikers and nature lovers. 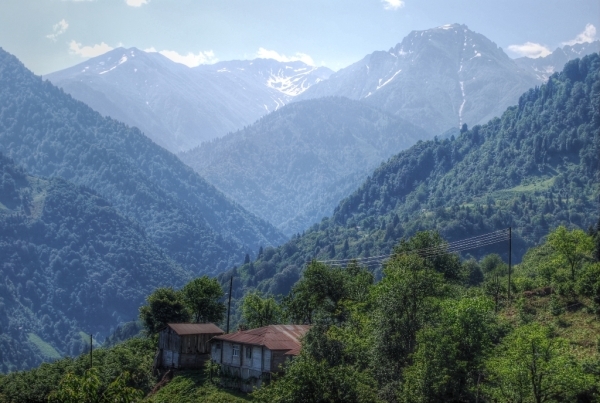 Small traditional villages scattered all over the mountains showcase the culture and people of the Black sea region. Only for the brave and adventurous! 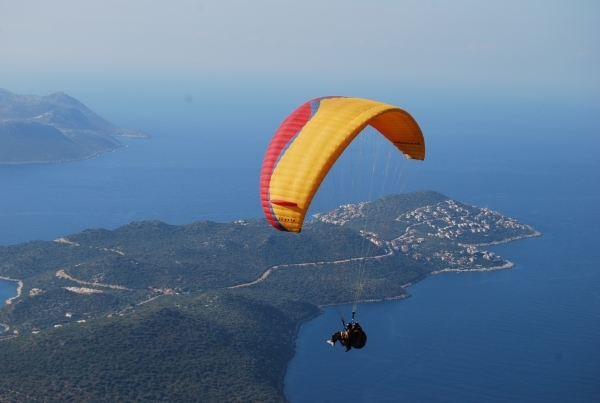 Paragliding in the resorts of Kaş and Olu Deniz is a popular pastime for professionals and holiday makers. First time para-gliders have the option to tandem glide with a professional pilot if nerves get the better of them. 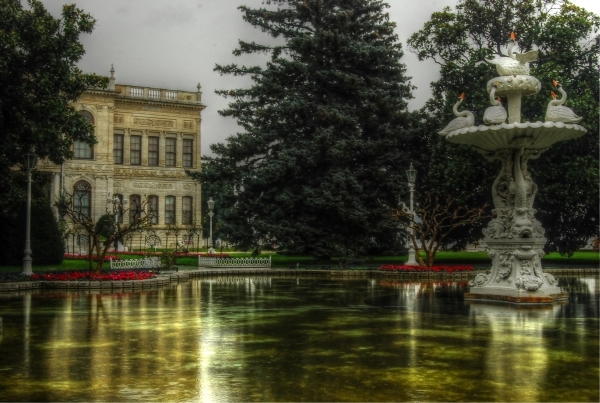 Dolmabahce Palace in Istanbul was the second home for sultans of the Ottoman empire. No expense was spared in the design and interior decor of the palace. 14 tons of gold and 131 handmade silk carpets were used to decorate the ceiling and floors. Turkish carpets are collectors items. Each carpet is made by hand and the design will vary from region to region. 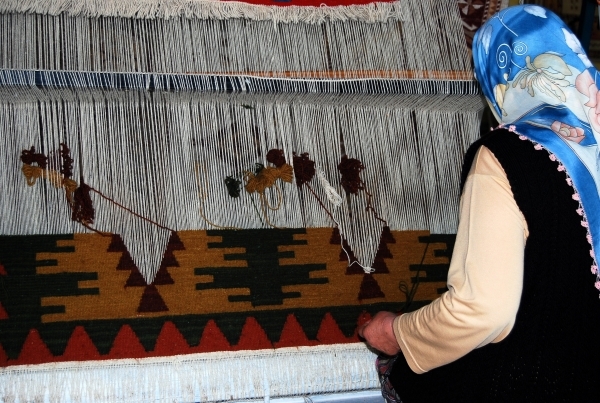 It can take a Turkish woman up to 6 months to complete one carpet. 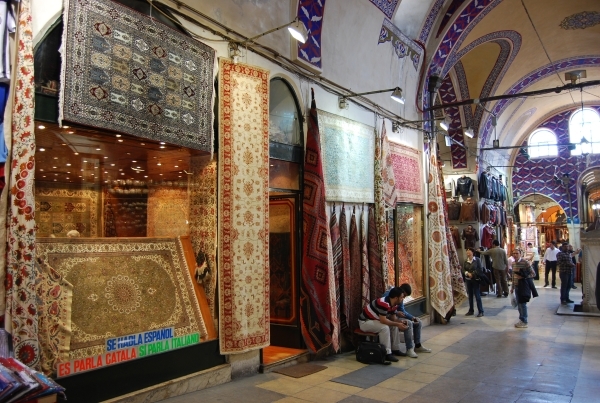 The most expensive types are the silk carpets often made into prey mats. On the border with Armenia, lay the impressive ruins of Ani. 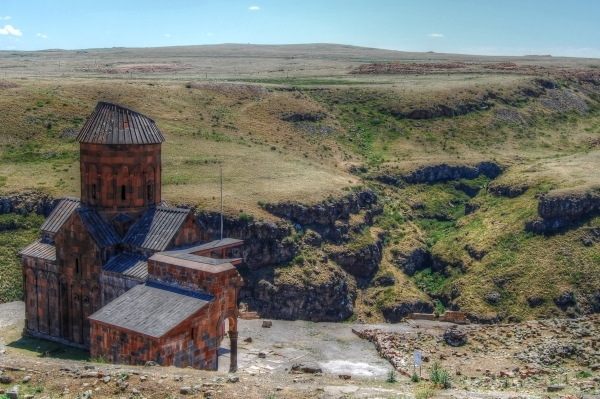 A collection of ancient churches that belonged to a medieval Armenian city, they are a perfect insight into the history of this area. Ancient frescoes adorn the walls of the old churches that showcase the skills of master architects and powerful rulers. 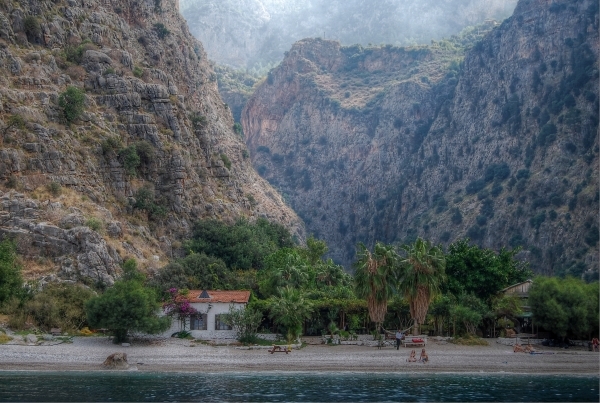 On the Mediterranean coastline, Butterfly Valley exists in complete harmony. A sandy beach gives way to green fields and a long, windy pathway leading between two mountains. Walk far enough into the valley and gushing waterfalls will soon replace the scenery. In breeding season, hundreds of butterflies can be seen, hence the name. 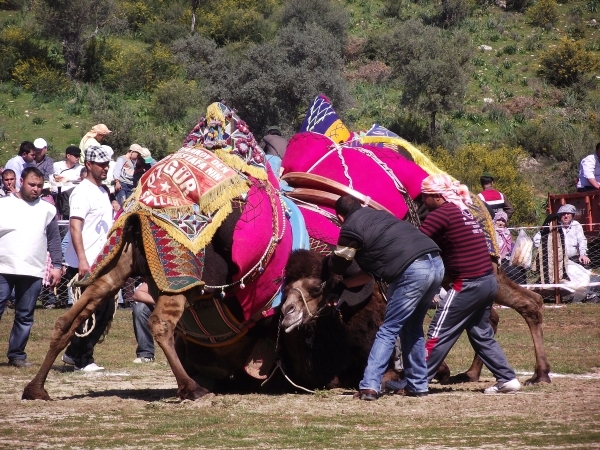 There is no greater introduction to Turkish culture than camel wrestling. Traditionally held in the Aydin region from January to March every year, male camels wrestle for the attention of a female. The winning camel is treated like a king for the next year, while the losers venture home without female company. If you fancy your chances, join the locals and place a bet to see if you can predict the winner. Eye-catching landscapes exist in the Black sea region and East of Turkey. 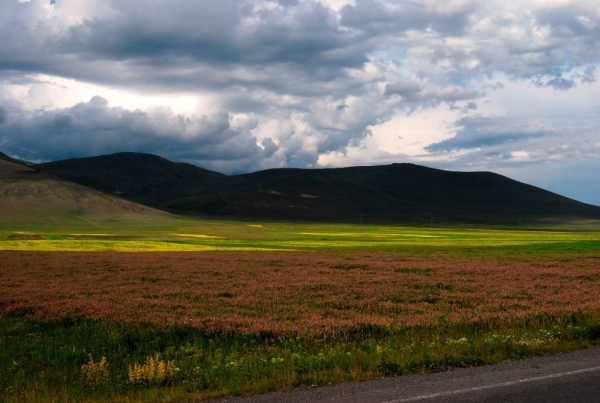 This photo was taken while driving from Maçahel to Kars. For the more adventurous travelers, Turkey is a good choice for a cross country road trip. Start from the modern towns on the western coasts and work your way to the traditional villages of the East. 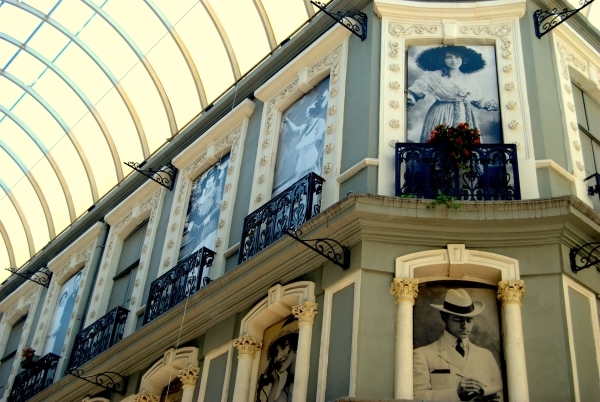 Flower Passage in Istanbul is a nostalgic building with a colourful past. It was built as a theatre in the late 19th century but burned in a fire. It was renovated and became a row of shops staffed by Russian flower sellers. These days, it is a collection of traditional Turkish meyhanes and the architecture still impresses all that pass through. 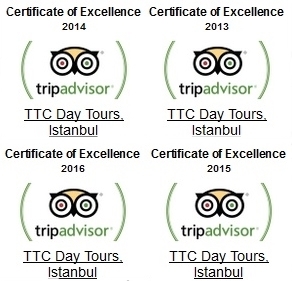 The Grand bazaar in Istanbul consists of more than 3000 shops situated on 60 streets. It was built during the Ottoman reign when the city was called Constantinople. A visit here can only be described as the shopping trip of your life. Get ready to bargain over the prices and spot the good deals on holiday souvenirs. Horse racing is a popular pastime in Turkey and at any racetrack, it is impossible to avoid the excitement as the gates lift and horses start to gallop round the track. 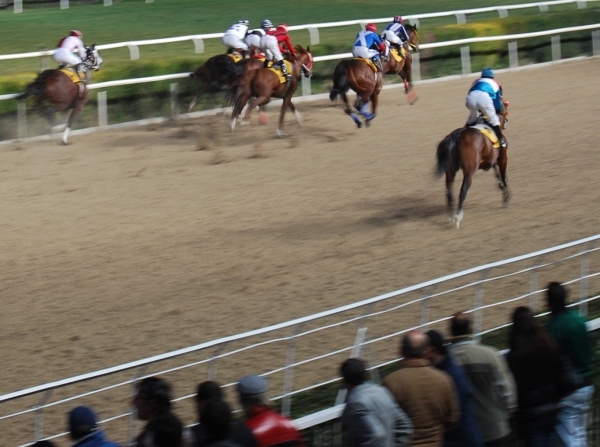 This photo was taken at the horse racing stadium in Izmir, considered to be one of the best in the country. 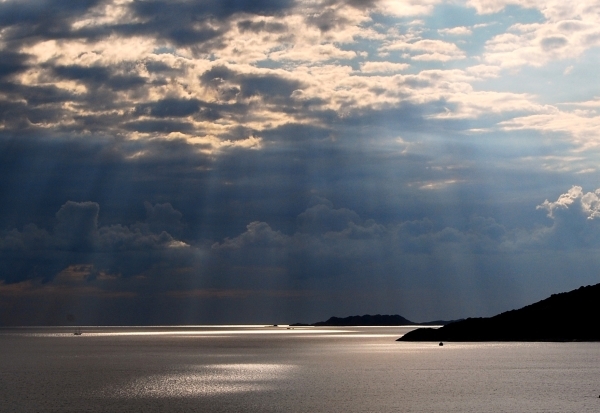 The Mediterranean and Aegean coasts of Turkey are well known for their alluring and vibrant sunsets. This picture was taken in the coastal resort of Kaş, which is a typical Mediterranean seaside resort. White washed houses covered with pink bougainvillea are owned by locals and ex-pats who have easily adapted to the laid back lifestyle that Kaş provides. Still staying with the resort of Kaş, this picture perfectly displays the seaside town. Backed by mountains, the resort is favoured by scuba divers. It is also popular with expert paragliders who take off from the mountains and glide through the air before coming to land gracefully at the harbour. On the outskirts of Cappadocia is the busy city of Kayseri. 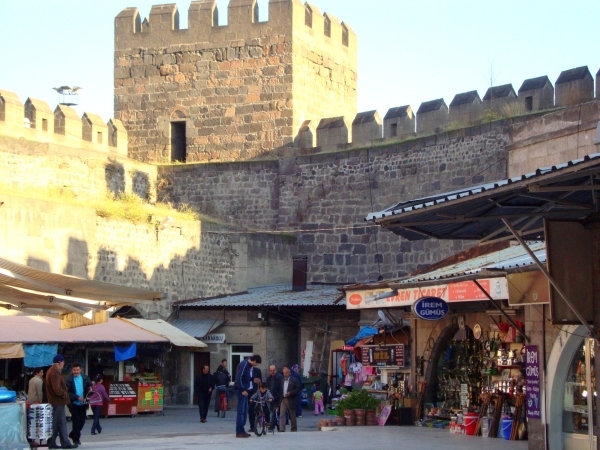 It is a major trading hub of Turkey but its true attractions are the historic sites. This picture was taken inside the castle, now used by stall holders selling locals goods. If you are headed to the Cappadocia region, spare two days for a short city break in Kayseri to gain an insight into life of a busy Turkish city. 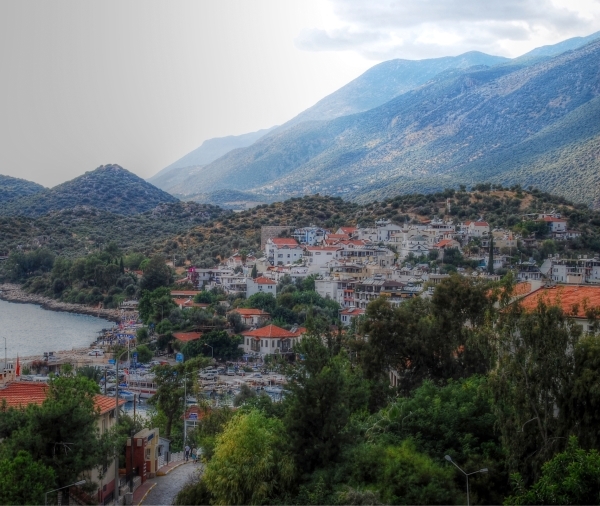 With the saying “From Sky to Sea”, you are introduced to Mount Tahtali on the outskirts of Antalya. The method of transport used to reach the base is cable car but to come back down, you also have the choice to ski or paraglide! The slogan “From Sea to Sky” refers to the ability to go skiing in the morning on the mountain and swimming in the afternoon in the sea. 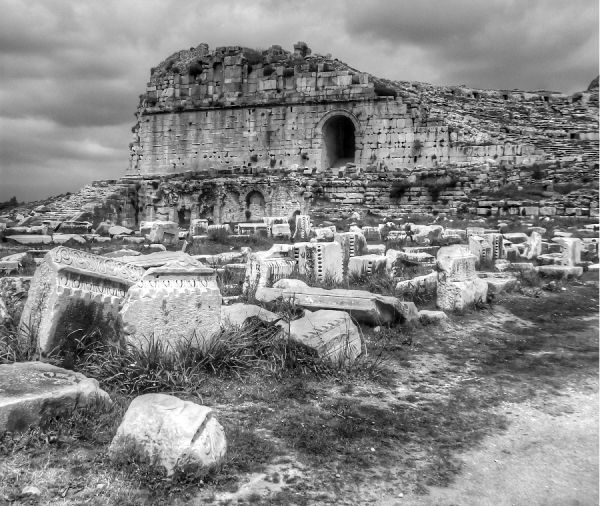 The ancient ruins of Myra are also on the Mediterranean coast. The town of Myra is now called Demre but it still retains fame because of a famous citizen in history; Saint Nicholas who went on to be known as Santa Claus. 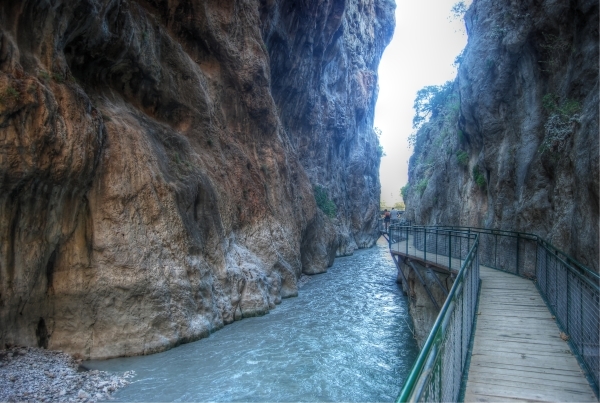 Saklikent Gorge, near the coastal resort of Fethiye is a natural beauty of Turkey. It is a popular stop for Jeep safari tours operating in the area. Man made paths constructed onto the side of the mountain face will take you into the gorge. Don’t expect sunshine though as the two faces of the mountain completely block out the sun, so even in the height of summer, the water is freezing. 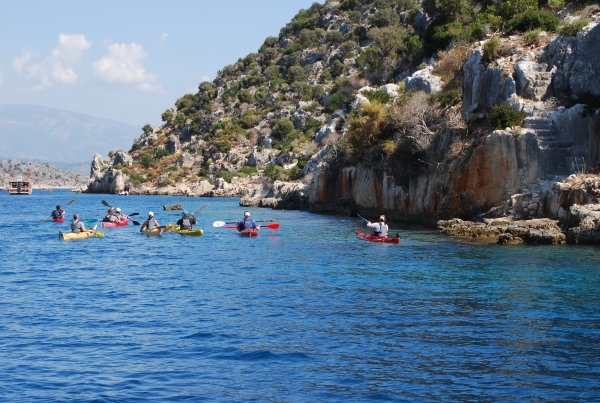 Energetic and adventurous travelers should go sea kayaking over the sunken ruins of Kekova. A city that was damaged from an earthquake and submerged under water, Kekova is a treasure of the deep. Sea kayaking is hard work on your arm muscles but if you complete the course, you will also discover the delights of Simena and Ucagiz at the same time. 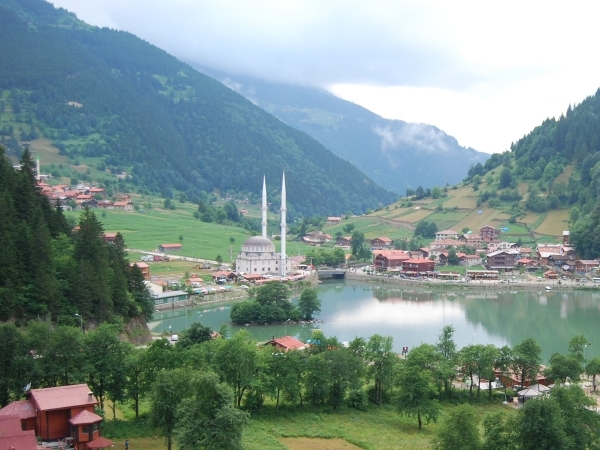 Uzungol is a popular tourist area in the Black sea region of Turkey. Locals traditionally build their houses and hotels from wood sourced from the nearby forests. Rent a bicycle to explore the area or trek further into the mountains to discover the less well known plateaus of the Black sea. 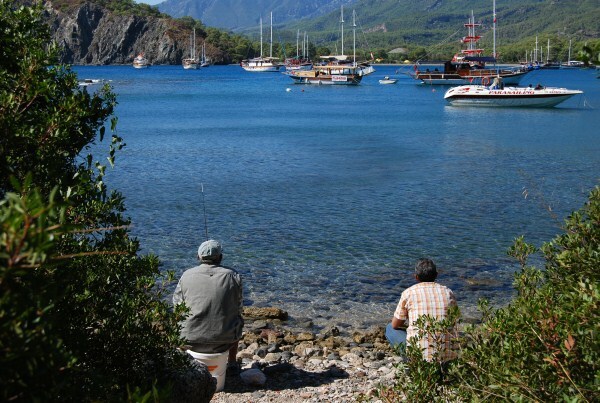 Our last photo on the armchair tour of Turkey is a quiet secluded place near Antalya. The resort of Phaselis has two main beaches surrounding the ancient ruins of a Roman city. 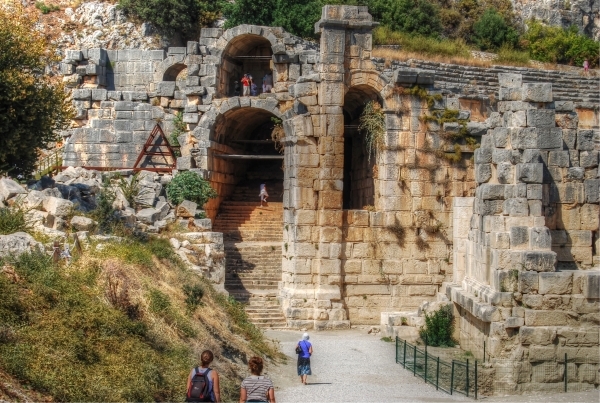 Walk the agora, discover the old stone houses and rest in the amphitheatre before laying down your towel to soak up the rays of the Turkish sun. Readers Question : Have you been to any of the places above and can you recommend them?